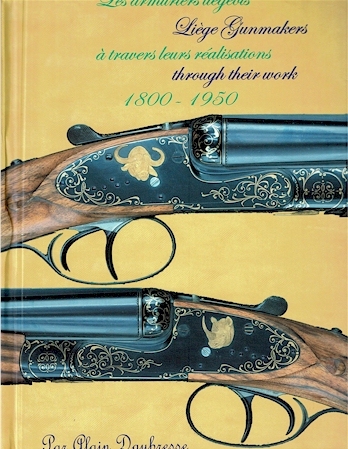 This printed and hardbound book, written in English and French by Alain Daubresse, provide an extensive insight about the gunmaking activity in Belgium from its very beginning to the middle of the 20th century. Due to the vast quantity of data to treat, the global work was parted in a series of publications, into which each separate book is dealing with a small portion of the whole, and that is listed in alphabetical order. 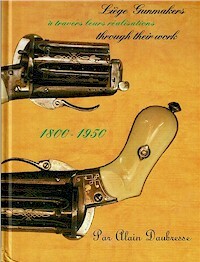 The book presented below is the fifth of the series and is covering the gunmakers whose names are in the N to R alphabetical range. 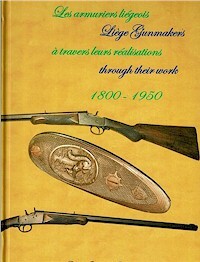 Each gunmaker is presented with the maximum of data available and a wealth of color pictures about the most typical pieces of his production. 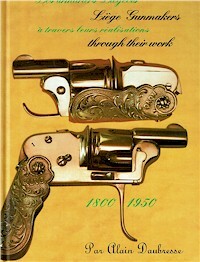 Are also discussed the many markings found applied on the guns and their significance or purpose. 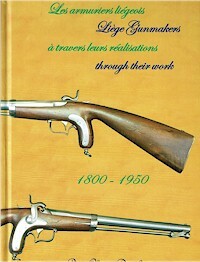 The size of this book of 238 pages is about 30 cm X 22 cm (11.80" X 8.60"). Its weight is 1 kg (35.00 oz). It is was built using a very thick cardboard cover and the paper used for the printing was of the high glossy type and carefully bound by threads. 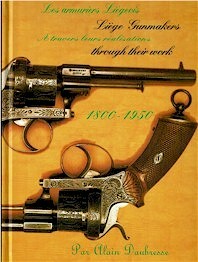 A strong good product that will last for long usage in your firearms books bibliary.